Never worn Lavida, Essense of Australia Aline/Princess Wedding dress bought from Tuscany Bridal in December 19. The dress has a Lace bodice with a full skirt, the fabric is lace and pearl mikado. The dress also has a long train with buttons leading from the bodice to bottom of the skirt. Dress has never been worn and has no alternations. 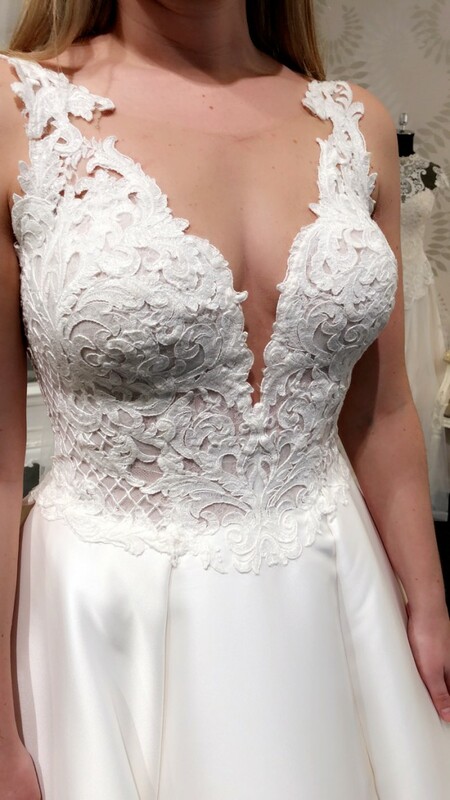 Paid $2400 for the dress, selling for $1200, reason for sale is change of mind. Once you send a message, Orla can invite you to purchase the dress.